Doctors shouldn’t routinely perform electrocardiograms on patients at low risk for heart disease, an influential federal panel is recommending. 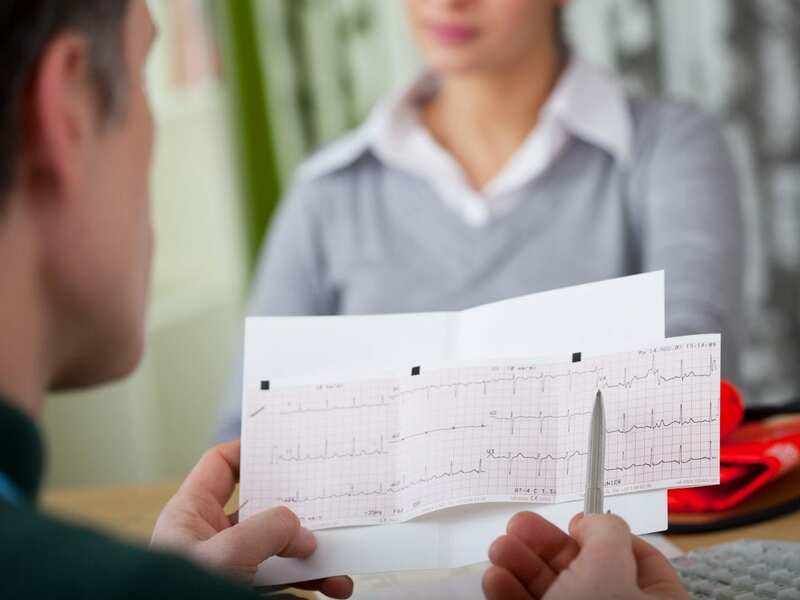 While an ECG test of the heart’s electrical activity is safe and inexpensive, the benefits for patients at low risk of heart disease are very low and the results can trigger possibly dangerous, unnecessary follow-up testing and treatment, according to the U.S. Preventive Services Task Force. “In low-risk people, definitely don’t do it,” says Dr. Seth Landefeld, chairman of the department of medicine at the University of Alabama at Birmingham. Landefeld is on the committee that developed the recommendations. The recommendation against routine ECGs in low-risk patients was published Tuesday in JAMA, the Journal of the American Medical Association. For example, in rare cases, follow-up tests like angiograms can inadvertently damage the heart, Landefeld says. Other doctors welcomed the new recommendations, noting they are consistent with those of many other medical groups. “I think their recommendations are very reasonable,” says Robert Hendel, chief of cardiology at Tulane University, speaking on behalf of the American College of Cardiology. ECGs use electrodes to measure the electrical activity of the heart and can identify irregular rhythms. Despite years of recommendations against routine ECGs, data collected by the National Center for Health Statistics indicate the test is done as part of about 4 percent of routine exams. In 2015, the National Ambulatory Medical Care Survey found that about 40 million ECGs were performed in doctors’ offices. Hendel and others hope the uniformity of the recommendations will finally persuade more doctors to stop using the test so commonly. “If there’s really no benefit and it may open a can of worms, then why are we doing it?” Hendel says. Other routine tests that spot risk factors, such as high blood pressure and cholesterol, are much more useful in identifying people at elevated risk for heart attacks and strokes, the panel and others say. Cardiovascular disease is the leading cause of death in the United States. “What’s happened is that the conventional risk factors have become so strong and so useful in preventing heart disease that the value of doing a routine ECG as part of an annual physical has faded,” says Dr. Robert Myerburg, a professor of medicine at the University of Miami Miller School of Medicine, who wrote an editorial accompanying the recommendations. But many doctors have continued to offer the test, often because patients want it, he says. An uncomplicated ECG on a patient at rest commonly costs about $50. The panel concluded there was insufficient evidence to recommend for or against doing ECGs for people considered to be moderate or high risk because they have some other risk factors, such as high blood pressure or diabetes. So doctors should decide whether to order the test for those patients on an individual basis, the panel says. Some patients might also consider getting one ECG to have as a baseline for comparison later in life, Tulane’s Hendel says.